Kevin Kauffmann was one of those kids that would make up stories every day, creating worlds and adventures for action figures, old Transformers and even lucky stuffed animals. Then the real world came knocking and he forgot he loved to tell stories. 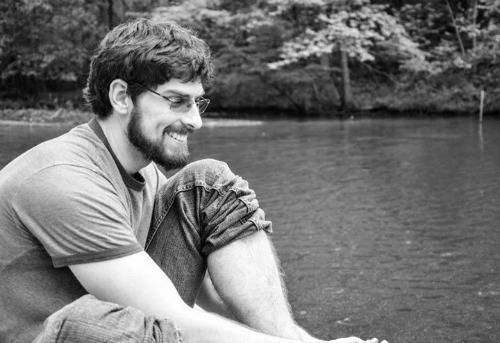 After grabbing a degree from UNC-Chapel Hill, he remembered just what he had lost. The Icarus Trilogy was Kauffmann's first professional project and he started on Murder of Crows back in April, 2010. In July of that year, Kauffmann was told that his grandmother had been diagnosed with cancer, which caused Murder of Crows to become an entirely different project. In order to cope with his grief, Kauffmann's writing became focused on how his characters dealt with loss, both in the form of personal identity and actually losing the people closest to them, and overcoming that pain. What would you think if someone told you that Lucifer was the father of humanity, most demons and angels began their lives as humans, or that being a good person meant you could still end up in Hell? What if you fell from grace and found that Hell was not all fire and brimstone? After his death, Niccolo da Firenze found that he had been damned to Hell, but he quickly realized Lucifer's prison was not what the church had always claimed. His new home was a breath of fresh air, a place where he truly belonged, and it was only a few years before Niccolo rose through the ranks and became the Horseman of Pestilence. Surrounded by new family and friends, accepted even with all his faults, Niccolo would often forget his part in the coming Apocalypse. That bliss comes to an end once Cadmus, the Horseman of Death, inherits a vision of Lucifer’s murder. And so, with Cadmus by his side, Niccolo begins his frantic journey to uncover a conspiracy involving ancient demons, corrupted humans and even a few gods. For Niccolo, there is far more at stake than the destruction of Hell, far more at stake than losing his home or failing in the Apocalypse. If Cadmus' vision comes true, someone will murder the person who had raised him from the depths and given him hope in the darkness. This is the story of the Horsemen of the Apocalypse and how they rode to save the Devil. From Hell with Love is the first book in Kevin Kauffmann’s Forsaken Comedy, depicting an alternate mythology informed by the Book of Revelations and supplemental texts to create something entirely new. When Niccolo and Cadmus inherited visions of Lucifer’s death, they never considered they would fail to stop it. However, Lucifer is gone and the portal to Earth opened. Thinking of nothing but revenge, Niccolo and Cadmus pursued his killers to Earth only to have the portal shift and close behind them. That was how the Horsemen of the Apocalypse became stranded on Earth. After two months of fruitless searching, Niccolo and Cadmus have found that Earth had changed since their demise. Feudalism is prevalent throughout Europe, all traces of their former lives were gone and, most disturbingly, the Black Death started just as they arrived. It did not take the Horsemen long to realize that they were responsible, but there was nothing they could do. They were created to start the Apocalypse, and it was starting with or without their help. However, once some friends rise up from Hell to find them, Niccolo and Cadmus quickly discover there is something more important at stake. As long as Azazel and Beleth escaped justice, there would be no way to know what Adonai intended during the Apocalypse, no way to know what danger they would face. So, even as Niccolo is plagued by Lucifer’s past and Cadmus is drowning in visions of the future, the Horsemen realize they have no other choice. They would avenge Lucifer or die trying. Ghosts of Earth is the second book in Kevin Kauffmann’s Forsaken Comedy, a story focusing on the Horsemen of the Apocalypse and their struggle to save humanity. It has been a year since Niccolo and his allies confronted Azazel and Beleth, and the world has changed drastically. After the revelation that both Lucifer and Adonai had been manipulating him for three centuries, Niccolo discarded whatever compassion he had left. Millions of people have been sacrificed to his Black Death, all for the purpose of creating an army that would fight against God, and his friends have watched as he has transformed himself into the next Devil. However, as much as they want to bring him back from the edge, it is obvious they need Niccolo’s brand of monster in order to stand a chance against Adonai. Even Cadmus has allowed far too much death, but in these final days, he has to consider that his best friend may have truly become evil. Allies new and old, terrible and heroic, will join them on their journey to the end of the world, but Cadmus knows that he is the only one who could hope to bring back the Niccolo they know and love. However, the forces of Hell do not have time to focus on what might have been or grieve for their fallen allies. Before they can even make it to the Gates of Heaven, they must travel through Purgatory, face terrors from their memories, and confront gods and monsters beyond their comprehension. It is doubtful they will all survive the journey, let alone the battle for humanity’s existence, but it is a sacrifice they are willing to make. After all, if they fail, there will be no tomorrow. 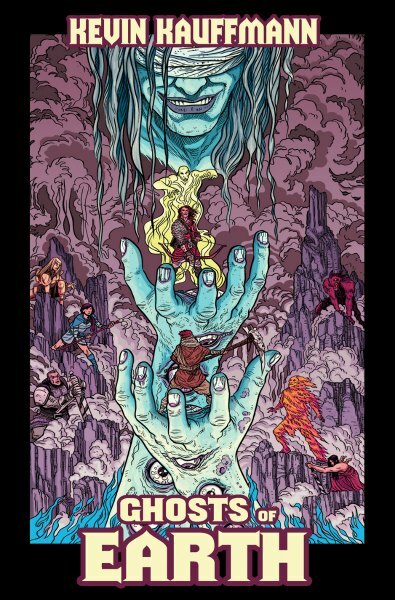 In Defiance of Heaven is the final book in Kevin Kauffmann’s Forsaken Comedy, a trilogy about the rise of the Four Horsemen and their efforts to free humanity. What would you consider freedom? For some, it's choosing their way to die. The lower class thinks that War World is the best thing since the beginning of the universe. All of the soldiers are divided into teams and, in order to maintain rosters, each soldier is cloned prior to the games. When they die, their consciousness and memories are transferred into the new clones and the process begins all over again. What the rest of humanity doesn't realize is that each death and resurrection is incredibly painful and disorienting. 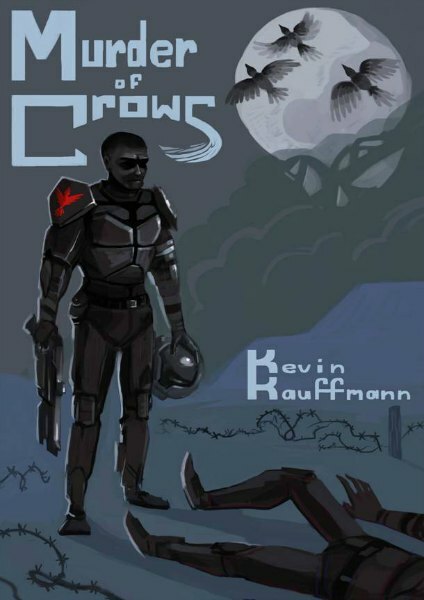 Murder of Crows is the first part of Kevin Kauffmann's Icarus Trilogy, telling a loose interpretation of the myth in a future dystopia. The Revolution is about to start, but the Hero is dead. Phoenix Rising continues the story of Ryan Jenkins and his teammates from the Crows. They are slaves to a corporate system that uses death and resurrection as just another hidden fee; their pain the entertainment for the masses. Most people watch War World and just think it's the next best thing in sports. The Eris Freedom Initiative wants to change that. They have recruited doctors, undercover agents and soldiers, but the system in place is oppressive and far-reaching. The corporations and alliances that build up the Trade Union are the true power on Earth and its eight daughter asteroids. And above all of them stands War World Entertainment, the company which owns Eris, a planet full of slave soldiers. These corporate masters have promoted Ryan Jenkins as a hero, but the man fighting and dying on those screens is not the same boy from New Chicago. He was changed, behaviorally modified, and is a symbol for the Trade Union's corruption. That's why The EFI is planning to bring the real Ryan Jenkins back. But can humanity rely on a man who killed himself? Phoenix Rising is the second book in Kevin Kauffmann's Icarus Trilogy. Telling a story of heroes and redemption, the novel shows what happens when corporate corruption has gone too far. When the Eris Freedom Initiative brought Ryan Jenkins back to life to use him as propaganda, no one expected him to become the leader of a revolution. Two months after the events of Phoenix Rising, Earth and the seven remaining asteroids in orbit are divided in a bloody revolution. The Earth Freedom Initiative fights in the shadows and undermines the Trade Union at every turn, bolstered by the Fall of Eris and the leadership of Ryan Jenkins. However, it seems Jasper Montgomery and his Trade Union still have the upper hand. The streets of Babylon are filled with EOSF officers and the media is controlled by the men in power. Without drastic changes and operations, the EFI will become just another failed insurgency. Ryan cannot let that happen. After all, he has an entire world to avenge. 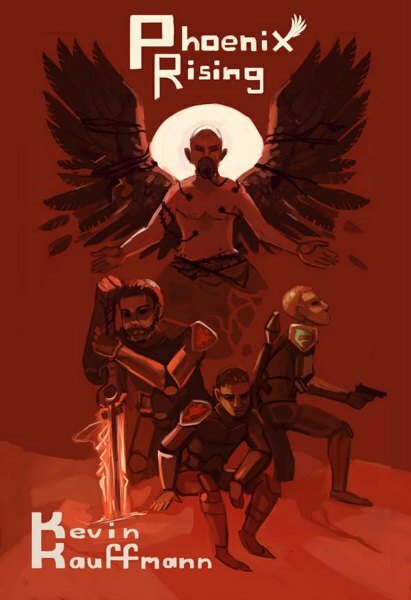 Swan Song is the last book in Kevin Kauffmann's Icarus Trilogy, concluding the tale of Ryan Jenkins and the soldiers from Eris. Focusing on themes of truth, perception and parenthood, the novel shows the last days of the war to free humanity. If there was a magic piece of paper that let you live the life you wanted, create alien worlds or travel through time, bring back the dead for another day, do anything or go anywhere you imagined, would you try it? If it was possible, would you create it? If it stood between you and keeping your job, would you destroy it? When Escape hit the streets, the United States was already losing the War on Drugs. Public opinion had shifted over the decades into apathy and acceptance and the next generation was becoming increasingly jaded and distrustful of the world. A hallucinogen which allowed the user to escape to another life was not just appealing; it was a perfect substitute for the society the last generation had given them. If taken safely, Escape was all a person could ever want, but everything changed once a young boy died with a piece of paper on his tongue. In the face of that tragedy, Escape became national news and politicians were given their mascot, but that was only the first. Following the lives of a depressed high school outcast, a member of Congress desperate to keep her job, and the grief-stricken creator of Escape, Ouroboros provides a look at a society that has failed its people. They are trapped in a world that has given up on them, dependent on systems that do not care about them. In their world, change seems almost impossible. If you lived in that world, wouldn't you try to escape?